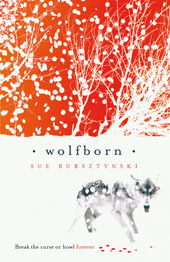 Wolfborn is an enticing novel for older readers, exploring the folklore of werewolves. Etienne is training to be a knight with Geraint of Lucanne,a well-respected man. All is well until Etienne discovers Geraint’s secret, that he’s a bisclavert, a born werewolf. When Geraint is missing, Etienne is racing against time to find his master before Geraint’s enemies hunt him down. Etienne’s assisted by other bisclaverts, including the beautiful Jeanne. Bursztynski builds up this world through concrete details and an authentic voice. Etienne is retelling the story as if it’s a giant flashback. It takes some time to get used to but it works well. There’s old English language that adds to the dark mood of the story. Readers will find themselves immersed in this fantasy thriller. Readers may also enjoy the traces of romance as Etienne develops feelings for Jeanne. But it takes a back seat to the involving action and tension, especially when Etienne unravels some secrets about himself. Wolfborn will leave werewolf fans howling for more. It’s a traditional story that can hold its head up high in the genre. It’s recommended for ages 12 and up. Oliver, you rock! Love your review. Now I'd better go and get YOUR book!